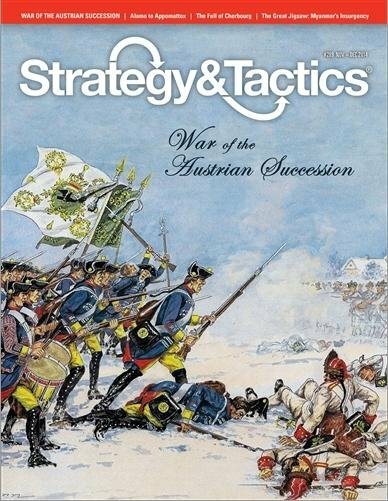 Magazyn S&T plus gra War of the Austrian Succession. War of the Austrian Succession is a wargame of Frederick the Great’s first military campaign, the First Silesian War of 1740-42. This was the opening War of the Austrian Succession which eventually involved the major powers of Europe. 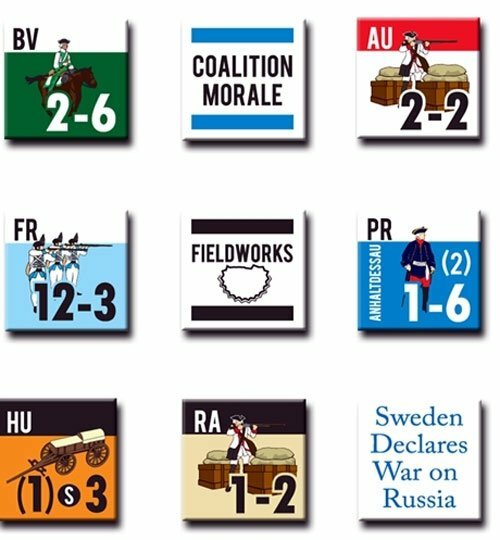 The intent of the game is to show operational level warfare in the 18th century Age of Kings. There are two sides in the game, Prussia and its allies (the Coalition), and Austria and its allies (Habsburgs). The map portrays the area in Central Europe where the original campaign took place; each hex on the map represents about 7.5 miles across. Each unit repre­sents a brigade or wing of an army (approximately 4,000 - 12,000 men and their equipment), and each turn represents one or two months of operations, depending on the season. · Battle of Cherbourg: the 1944 battle for this critical port city in Normandy fought between the US and German armies. · Burmese Civil Wars: the whole story of all the internal conflicts that have rocked this Southeast Asian nation since 1948. · The Catalan Grand Company: the story of what is generally considered to have been the single-most successful mercenary outfit in all of history (AD 1302-88). · Alamo to Appomattox: analysis of the evolution of US military strategy and tactics from 1836 to 1865.